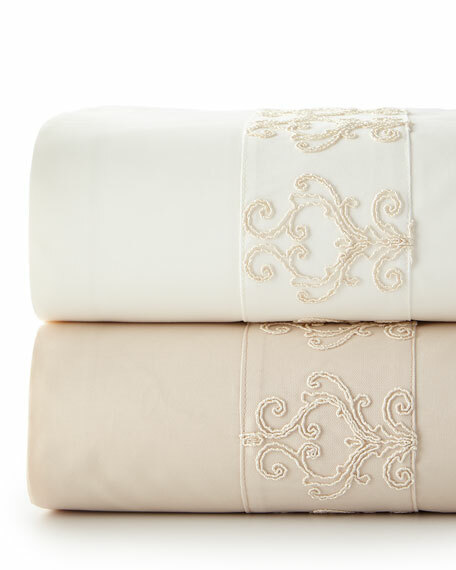 Sheet set includes: one fitted sheet, one oversized flat sheet, and two open ended pillowcases. Fitted sheet features universal elastic all the way around for snug fit. 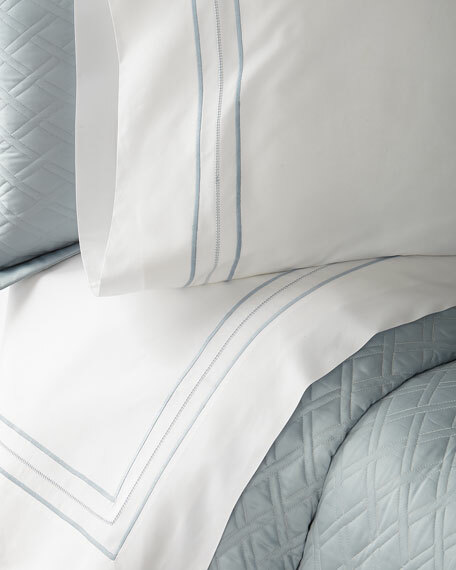 400-thread-count extra long staple combed cotton percale. 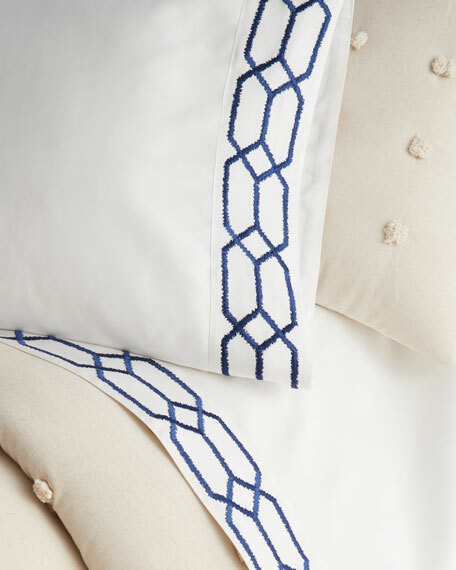 Sheet set has lace edging trim. Fits up to 18" deep pocket mattress. 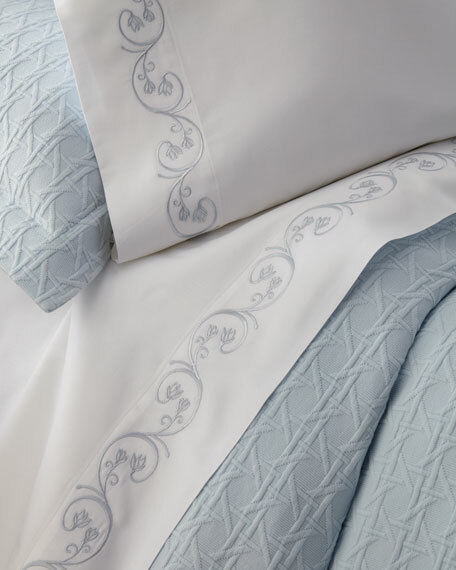 Sheet set includes: one flat sheet (106"Sq. 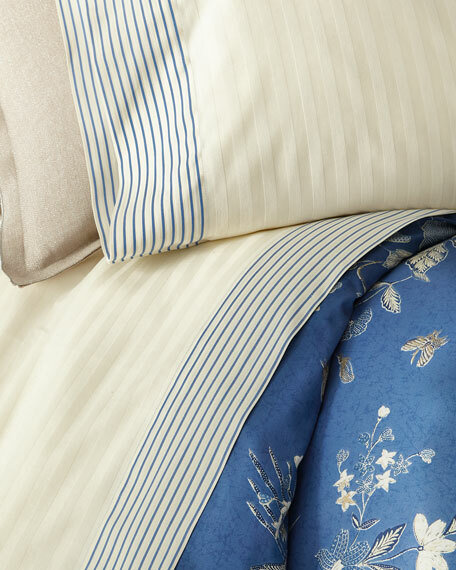 ), one fitted sheet (78" x 80" with 15" pocket), and two pillowcases (20" x 40" each). Cotton/rayon.Machine wash.Imported.